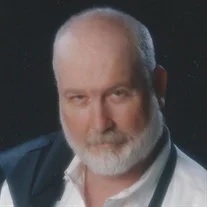 Ronald Lynn Ward, 66, of Chickamauga, went home to be with his Lord and Savior on Monday, November 5, 2018. He was a lifelong resident of the North Georgia area and was of the Baptist faith. He had worked most of his life as a truck driver and enjoyed fishing, farming and loved horses. He was a loving and devoted husband, father, grandfather and great-grandfather that will be truly missed by all who knew him. He was preceded in death by his parents, Ben & Loraine Ward; brother, Roger Dale Ward; and sister, Carolyn Marie Hayes. Survivors include his loving wife of more than 42 years, Connie Ward; children, Jeremy Ward, Daryl Gordy, Derrick & Teresa Gordy and Dennis Henson; brother, Tony & Karen Ward; sister, Kathy & Robert Klein; three grandchildren, Cassie Henson, Josh Henson and Katelynn Ward; great-grandchild, Gabriel Campbell; and numerous extended family & friends. Funeral services will be held at 2 p.m. on Friday, Nov. 9 in the Fort Oglethorpe Chapel, with Rev. Wayne Casteel officiating. Burial will follow in the LaFayette Memory Gardens. The family will receive friends after 3 p.m. on Thursday and prior to the service on Friday at the funeral home. Online guest book at www.wilsonfuneralhome.com. Arrangements by W. L. Wilson & Sons Funeral Homes, Fort Oglethorpe.